UPDATE: Blah! I apologize everyone, this went SUPER quick 🙁 This is the second time it’s gone live, so I’ll be sure to let you know if it comes back. 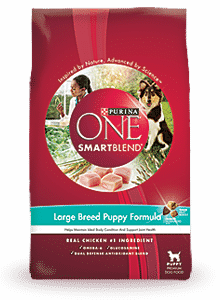 Click here to visit their site and click “Get Your Coupon.” Then fill out the form on the next page to request a mailed coupon good for a free (up to $9.50) 4lb bag of Purina ONE brand dog food. It tells me the coupon has already been used!!! Same here 🙁 Is anybody getting this?